FastReport .Mono. What is it? What for is it? 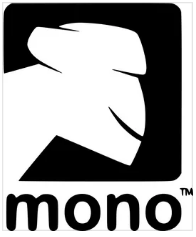 - Fast Reports Inc.
Mono is an open source development platform based on the .NET Framework, allowing developers to create cross-platform applications. The implementation of Mono .NET is based on the ECMA standards for C # and Common Language Infrastructure. Initially, Mono was developed by Novell, then it was developed by Xamarin, and now by Microsoft. The Mono project has an active and enthusiastic community. Mono includes both developer tools and the infrastructure needed to run .NET client and server applications. The C # compiler supports C # standard 1.0, 2.0, 3.0, 4.0, 5.0 and 6.0 (ECMA). Mono Runtime is the ECMA Common Language Infrastructure (CLI) framework. The runtime is provided by the Just-in-Time (JIT) compiler, the Ahead-of-Time compiler (AOT), the library loader, garbage collector, and so on. The Mono platform provides the implementation of libraries WinForms, ADO.Net, ASP.Net and others. Mono Class Library - Many classes have been created with additional functionality specifically for Mono, which go beyond the base class library provided by Microsoft. • Artisteer uses Mono to transfer its web designer to another platform. Starting with version 2.2, you can run your software with Mono. Since there are not so many cross-platform generators, but really good ones can be counted on fingers, FastReports decided to create a report generator for Mono. Moreover, there is a ready-made popular report generator FastReport.Net, on the basis of which FastReport.Mono has been created. It appeared in 2013, and at that time it repeated the functionality of FastReport.Net. For now, however, there are differences between them. To be honest, FastReport.Net has made great progress. Nevertheless, FastReport.Mono remains a strong competitor in its niche. Moreover, personally I do not know other report generators under the Mono framework with such rich functionality. Let's take a closer look. With FastReport.Mono you can work in different operating systems. Well, of course, Mono is a cross-platform framework. Therefore, there are available systems: Windows, MacOs, the Linux family. Microsoft Visual Studio (under Windows), MonoDevelop (Windows, MacOs, Linux) and Embarcadero Delphi Prism (Windows, MacOs, Linux). Programming languages for working with FR.Mono: C #, VB.Net, Oxygene (Embarcadero Delphi Prism). The language of the built-in report script: C #, VB.Net. Everything is the same as in FastReport.Net. The data sources available by default are XML, CSV. And to connect to databases, you need to use the data source of the user application, or external connectors that are installed in the system. • The report designer can be called separately as a standalone program, can be called up during the development of the user application, and during the execution of the user application. The latter option is very interesting. In fact, you embed the designer in your program and give the user the ability to edit the reports themselves. • Advanced print mode - another thoughtful tool. Print settings are very rich. Web reports are implemented through ASP.Net and ASP.Net MVC. What can I say - it is a modern and popular approach. Pay attention, the last elements of the list - Clouds – are essentially saving the report to cloud services. The format of the report file is frx, the same as in FastReport.Net. Yes, in fact, the reports are compatible between FR.Net and FR.Mono. In conclusion, I want to note that the transfer of FastReport.Net to the Mono platform was a strategically correct decision.